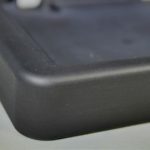 For current production updates see the Updates page, or sign up for the newsletter. 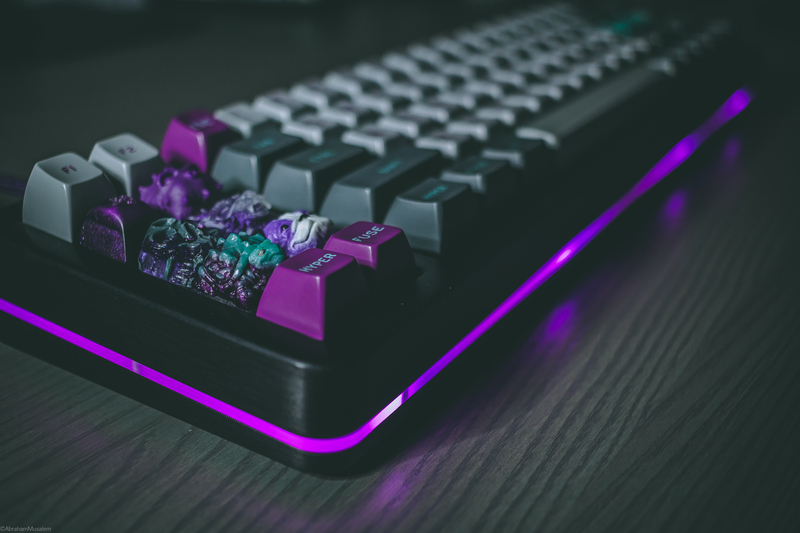 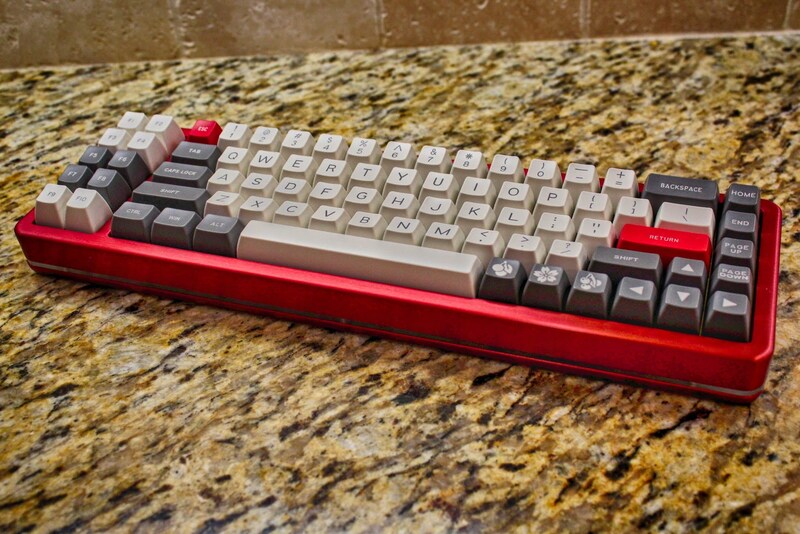 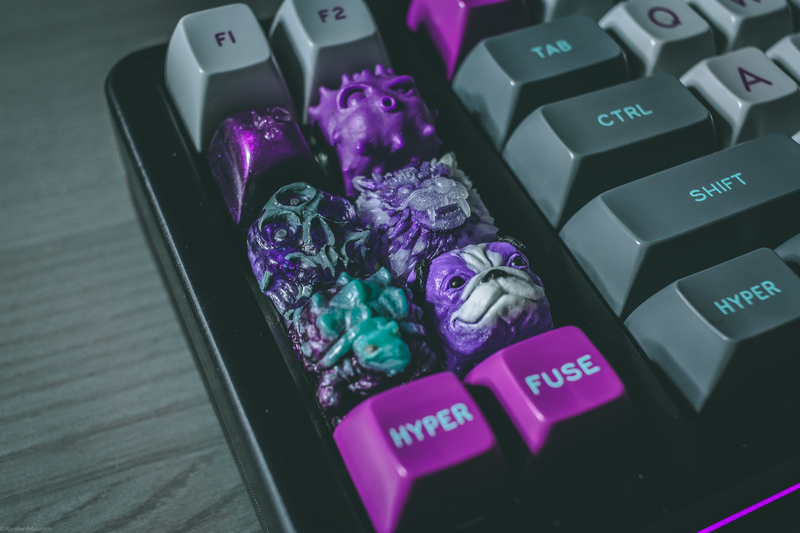 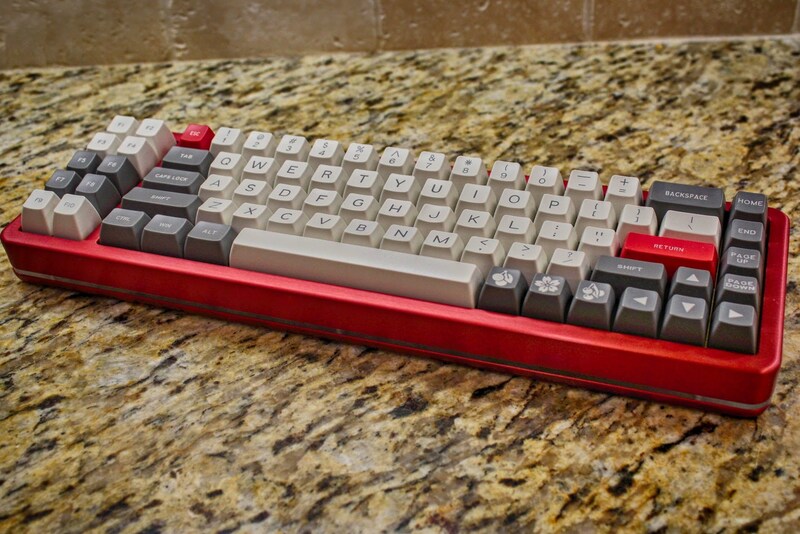 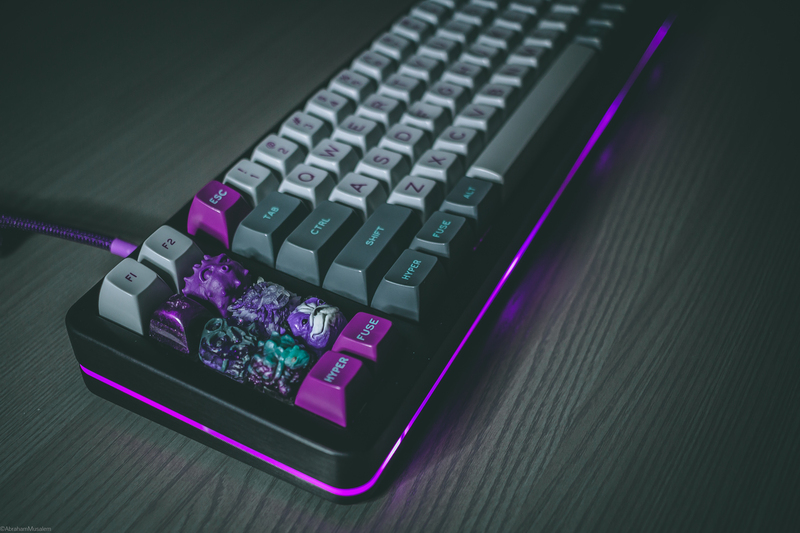 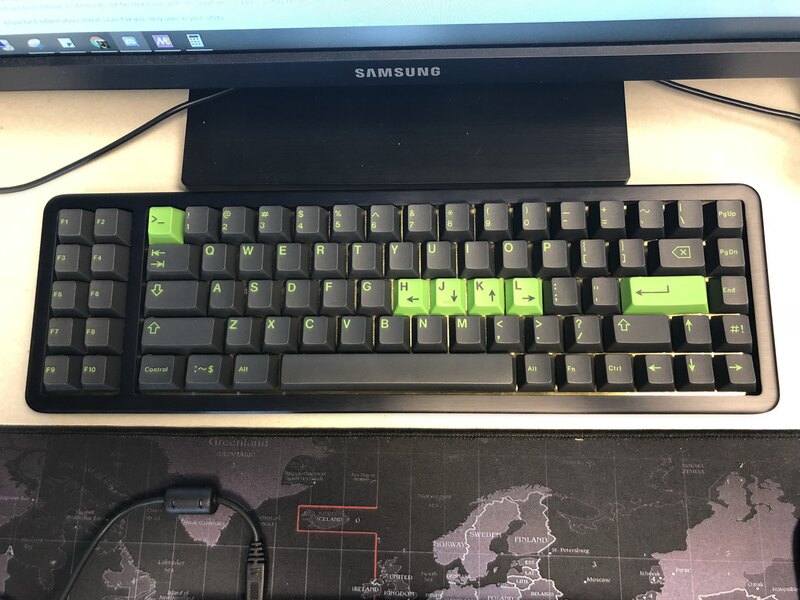 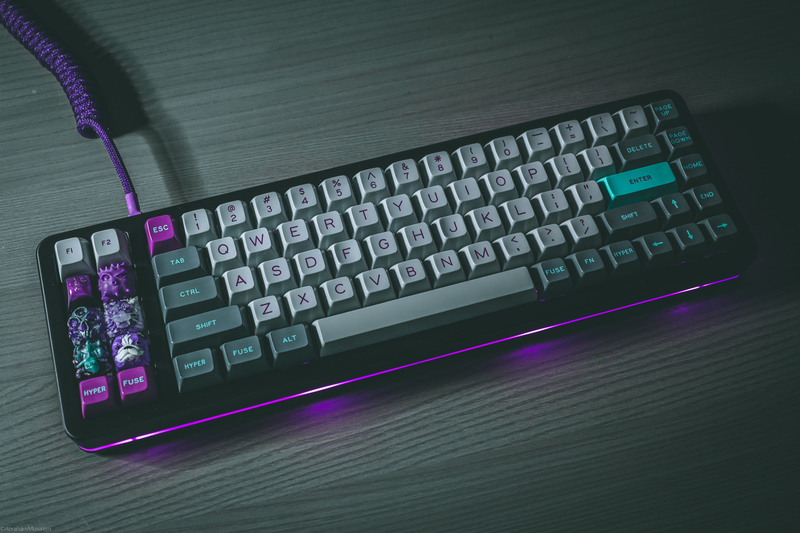 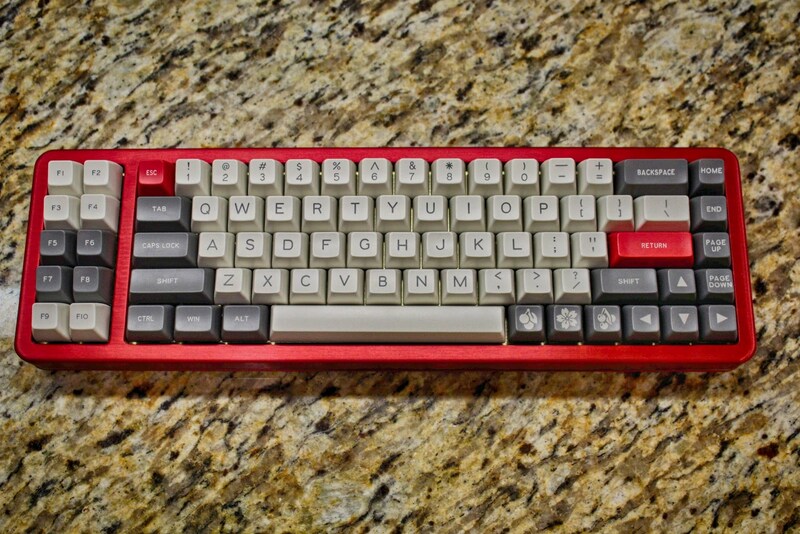 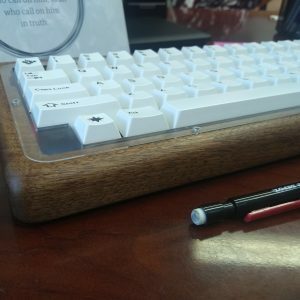 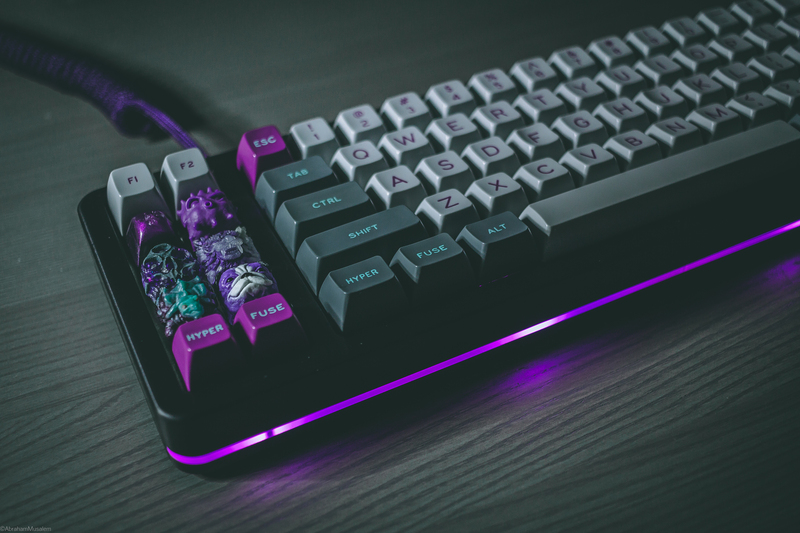 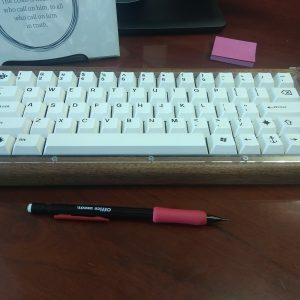 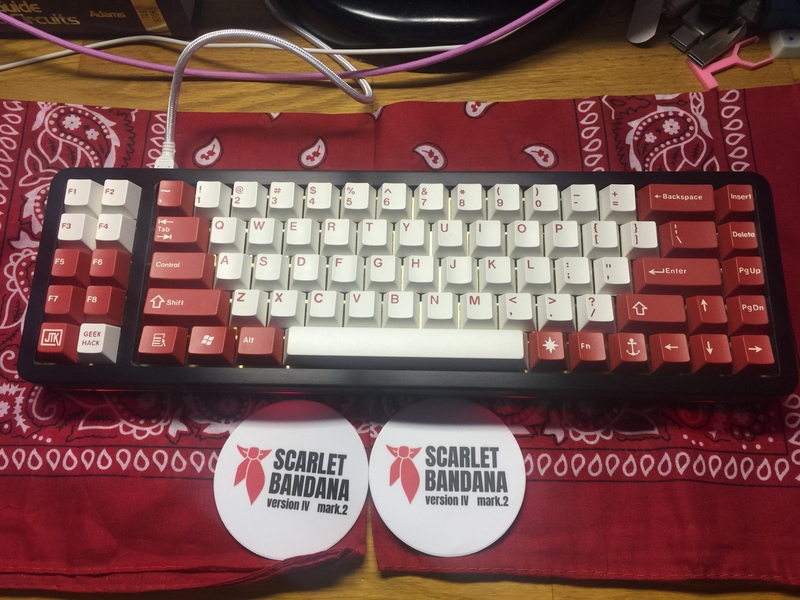 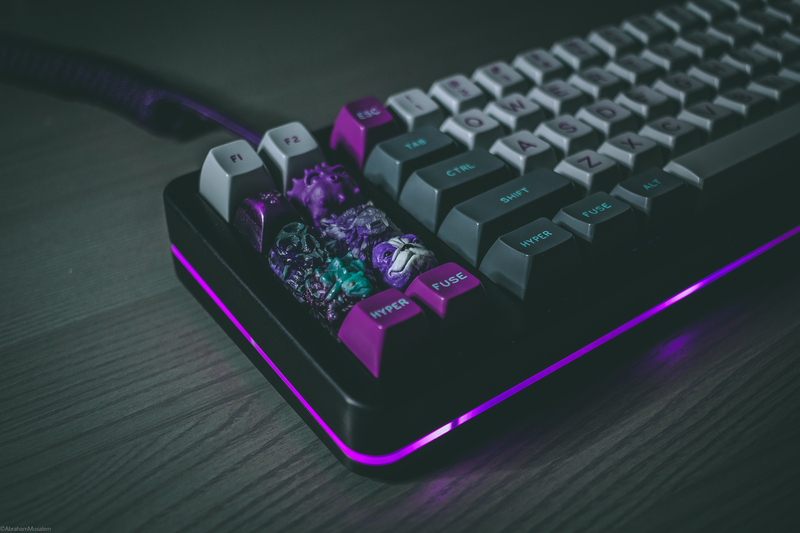 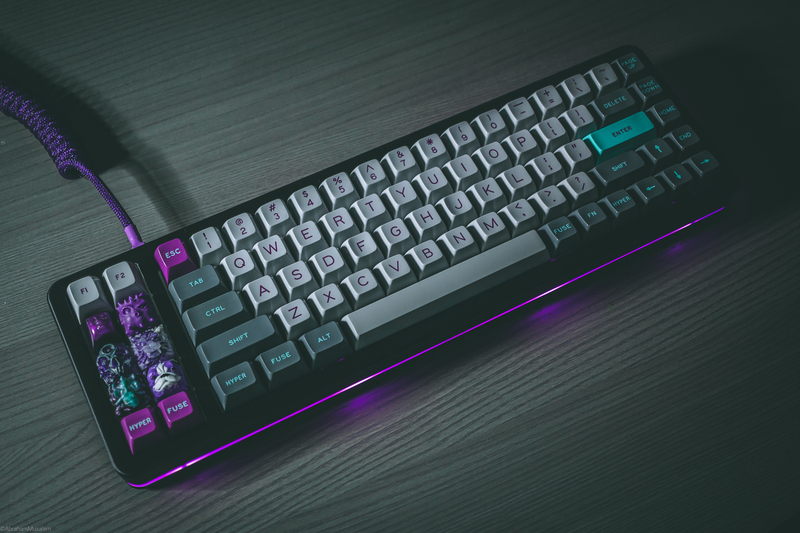 Born as a meme, this keyboard is now all grown up into a fully custom premium keyboard. 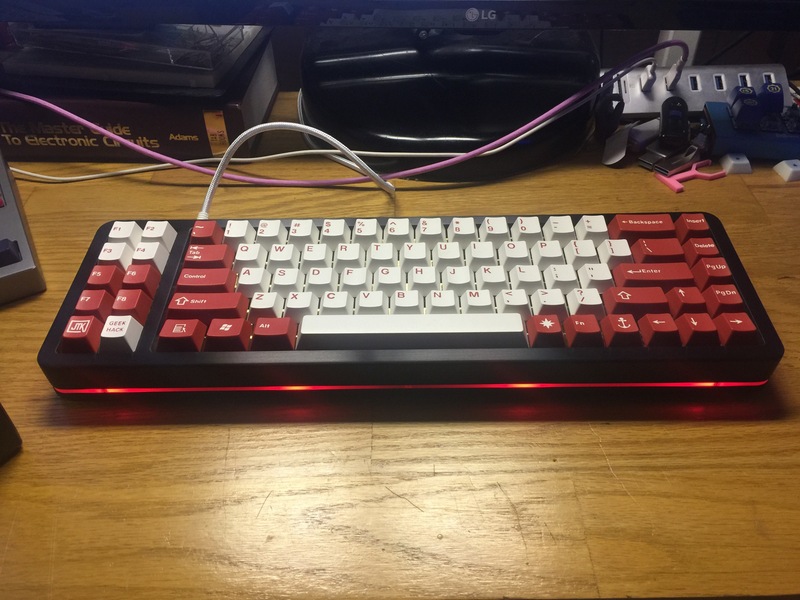 Features include hotswap sockets, a 65% + left macro layout, two-part aluminum top mount case, brass plate, and diffuser for RGB underglow. 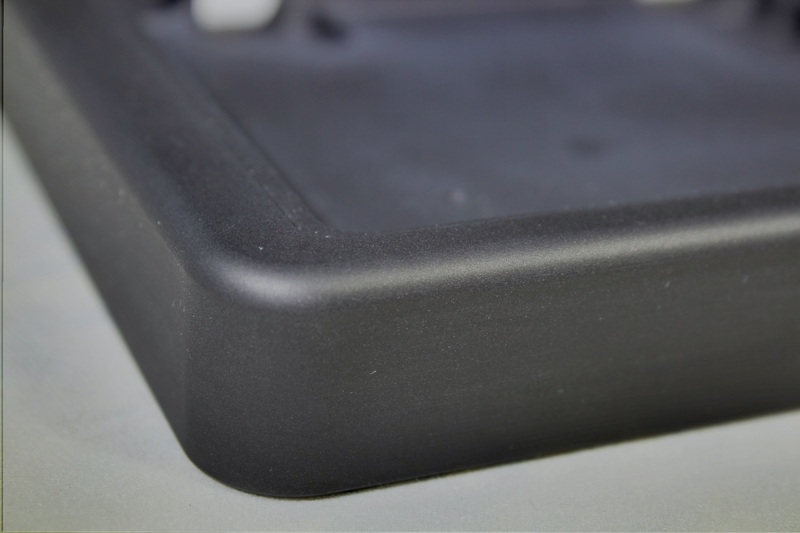 There are two options for the case: a flat base, and one with a 3˚ angle. 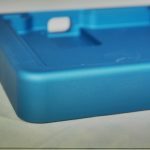 The flat case will reduce the overall weight of the keyboard, but costs a little less since there is less material and less machining. 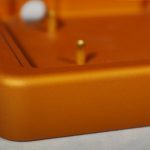 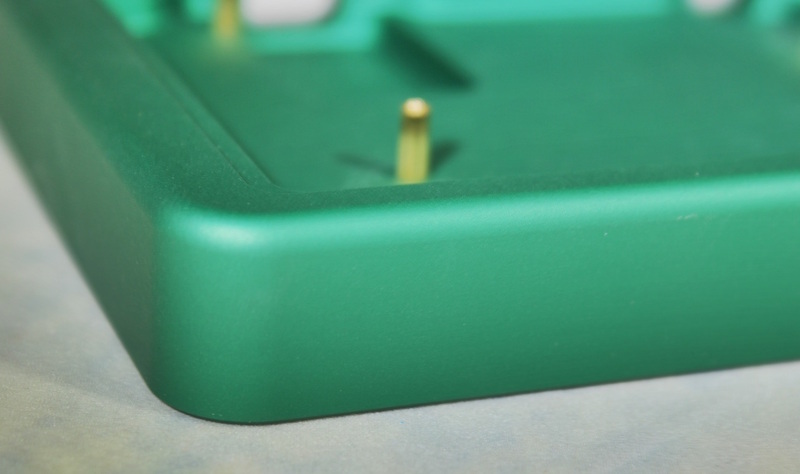 The base price includes the case top and bottom parts, anodized in your selected color, all mounting hardware, and GMK screw in stabilizers. 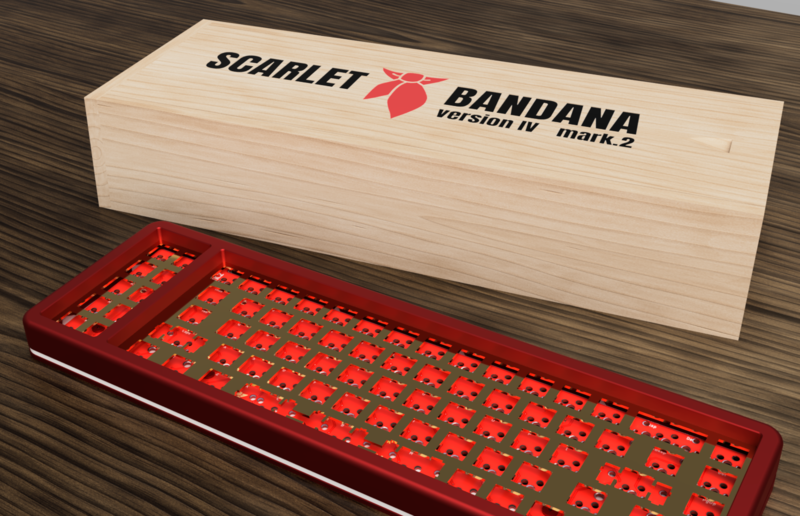 In order to have a complete kit you will also need to select a PCB, plate, and diffuser/mid. 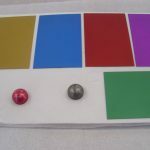 These are separate options since you can order them with different options or in multiples. 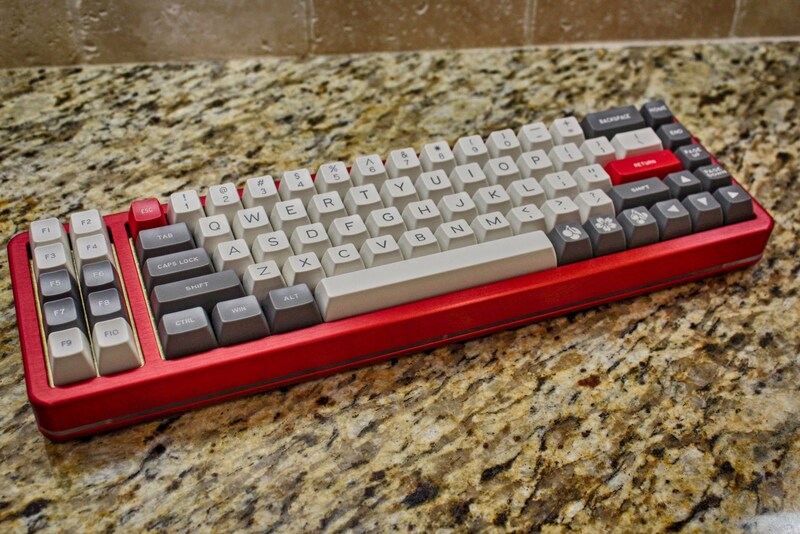 Common options are selected by default, but you may customize your keyboard exactly as you want it. 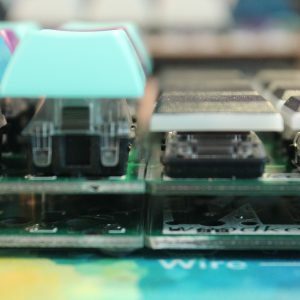 The PCB is powered by QMK, with Kailh hotswap sockets – no soldering required. 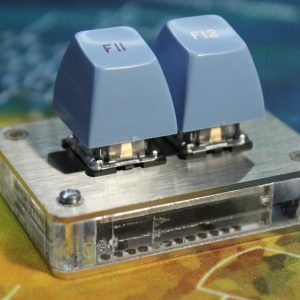 Swap your switches any time you want, as easily as changing keycaps. 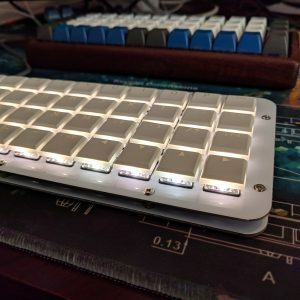 Top-mounted plate for a solid typing feel. 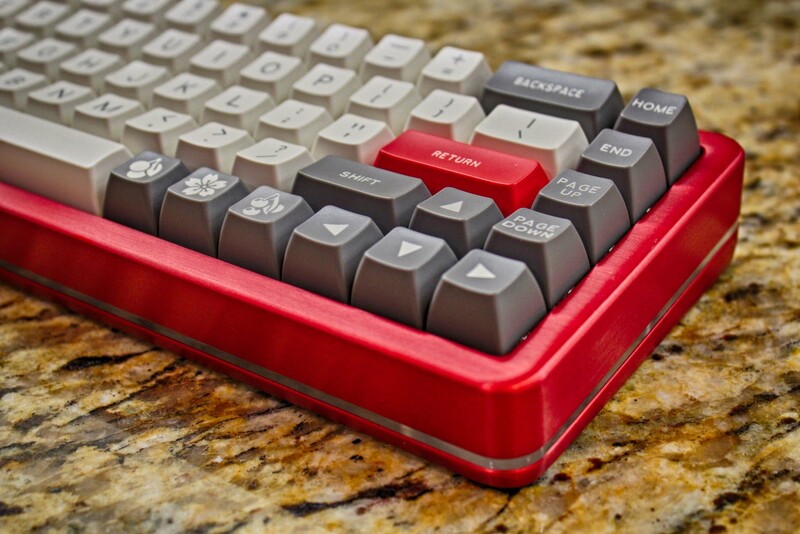 Available in either anodized aluminum or brass. 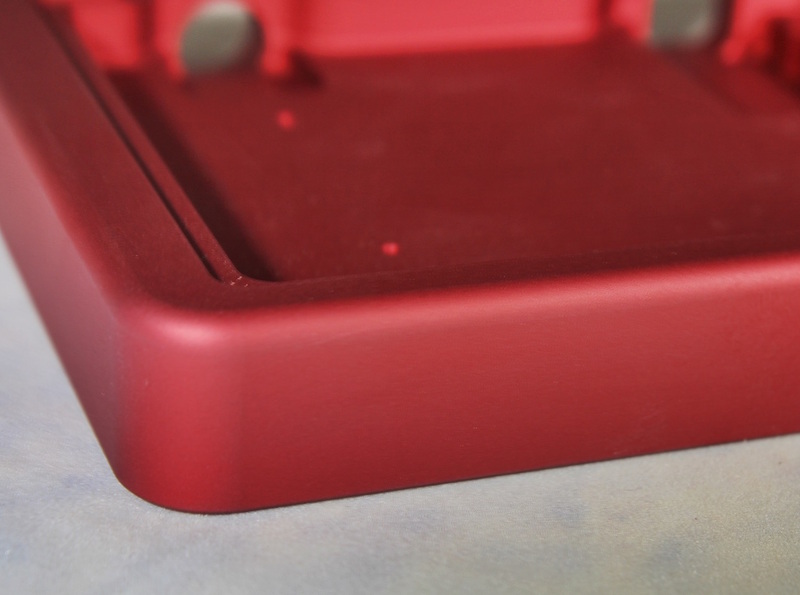 Aluminum anodizing available in the same colors as the case. 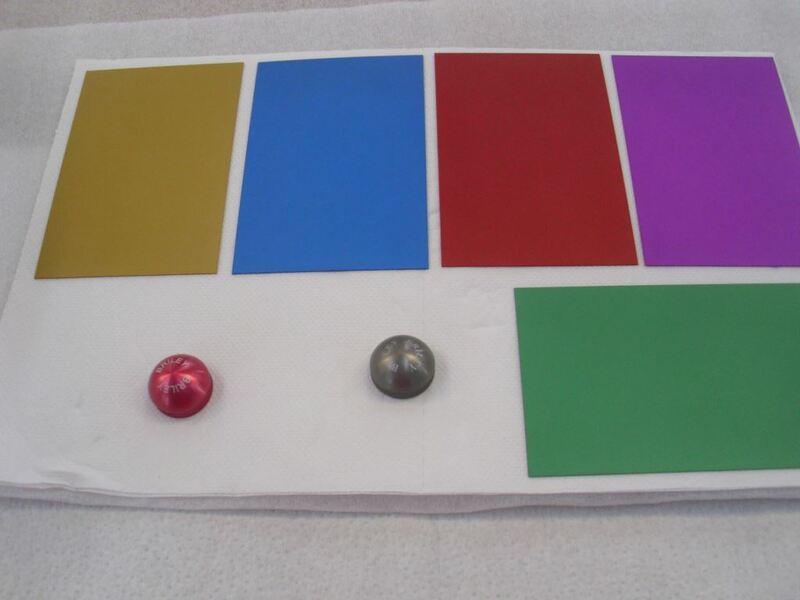 You may choose to match or get an accent color. 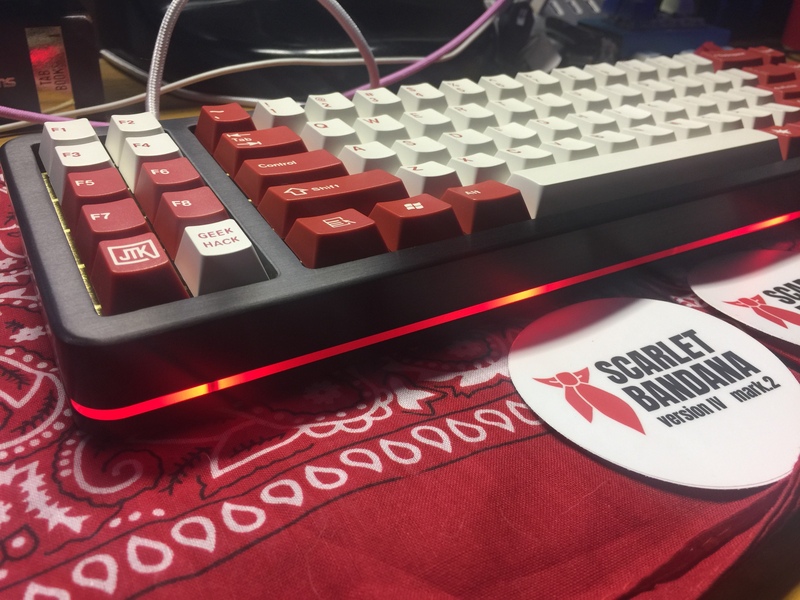 The default option is a frosted acrylic diffuser for an RGB underglow effect. 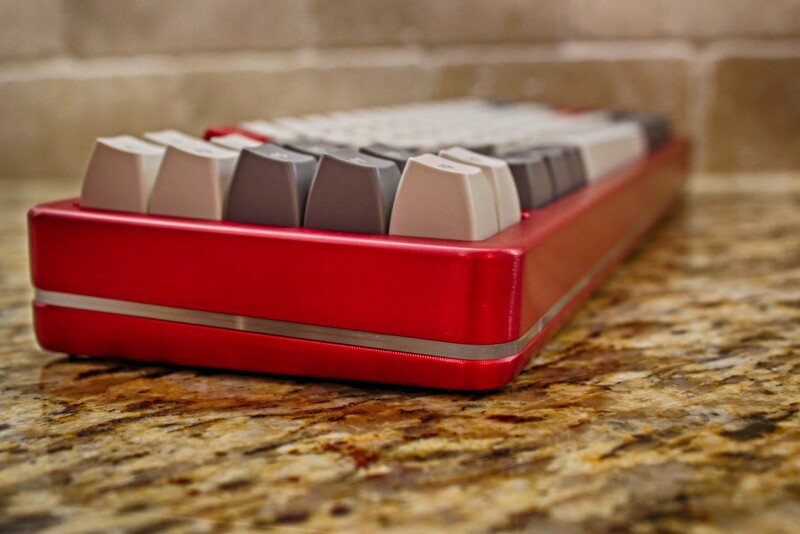 If RGB is not your thing, a brass or aluminum mid layer are available. 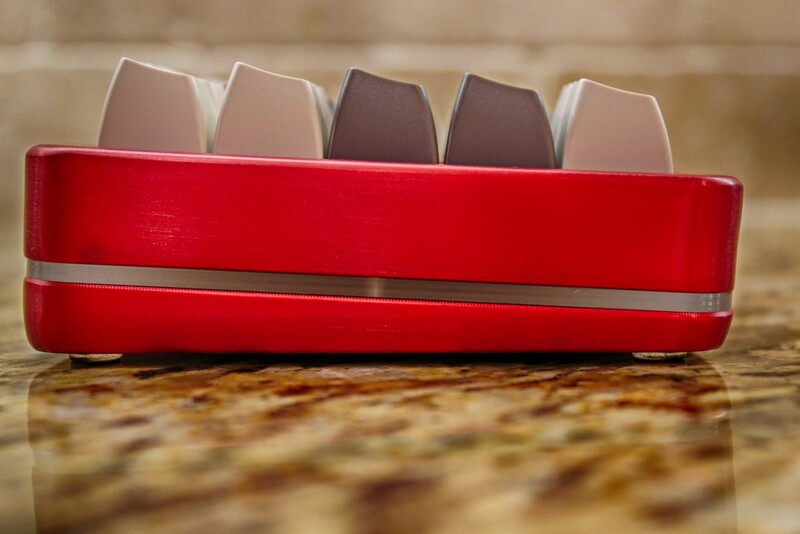 The brass mid will add over 2 lbs/1 kg to the keyboard, bringing it to over 7 lbs/3.2kg. 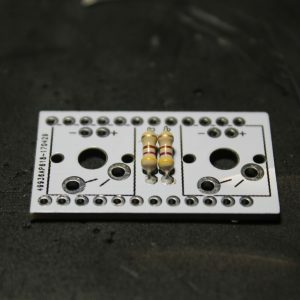 This is a required part of the case. 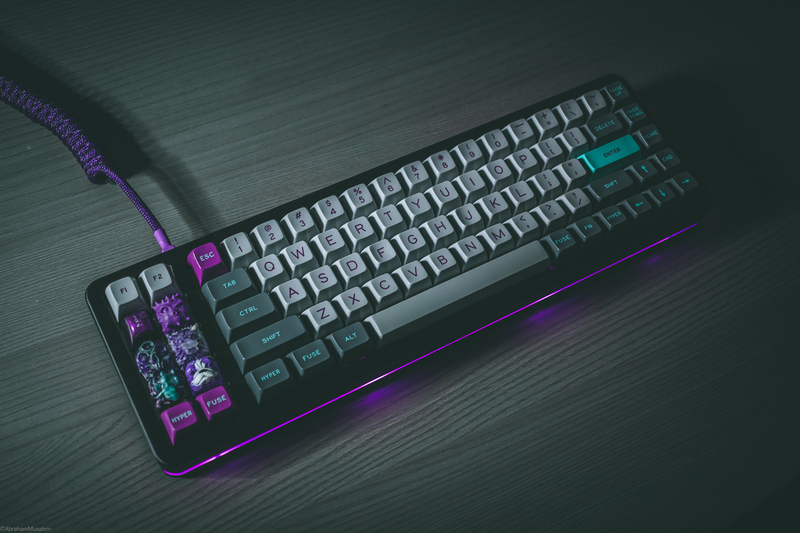 Additionally, you will need 78-81 switches and keycaps, which are not available from this site. 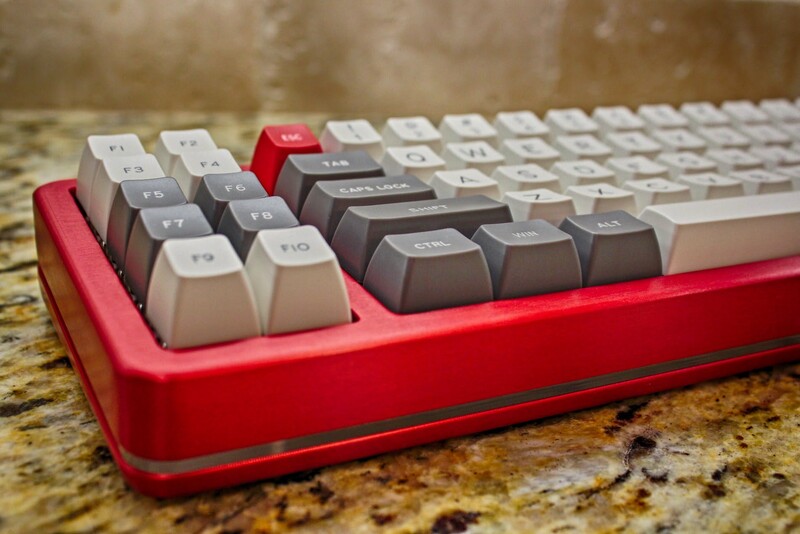 This is a heavy keyboard, weighing in at almost 5 lbs fully assembled. 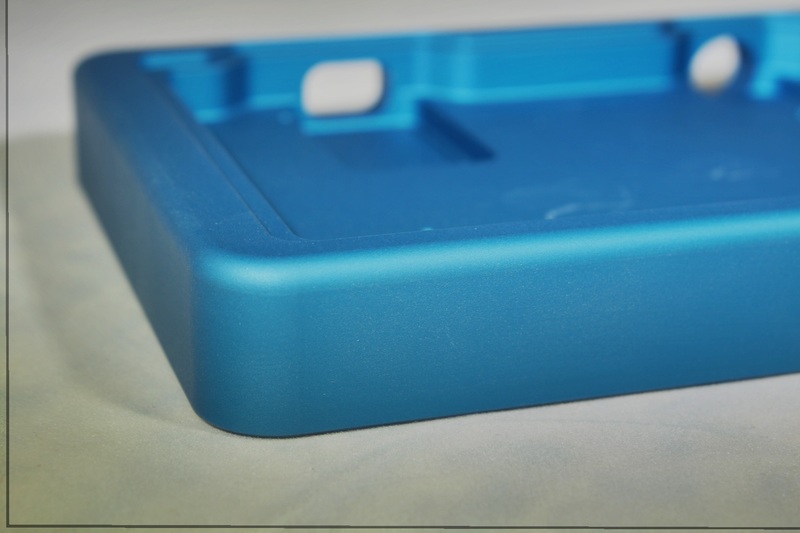 Two-piece case is machined from 6061 aluminum and anodized in your choice of colors (see below for samples). 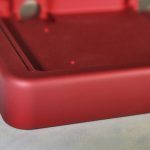 The brass plate screws into the top cover for a solid feel. 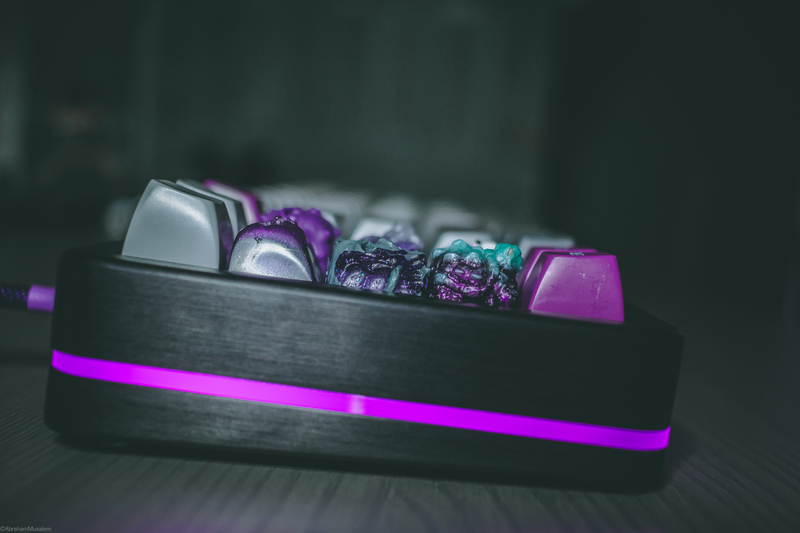 The frosted acrylic diffuser allows the RGB underglow LEDs to shine 360 degrees around the base. 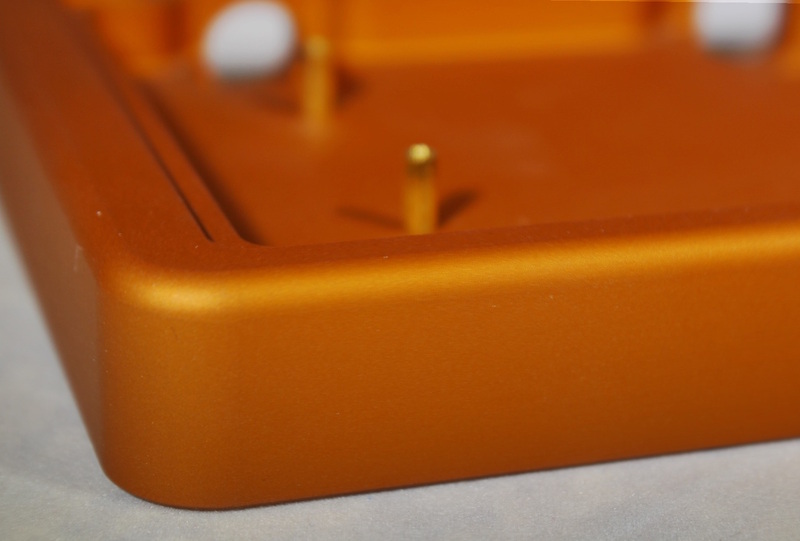 If RGB is not your thing, this piece will also be available in anodized aluminum or brass as an accent. 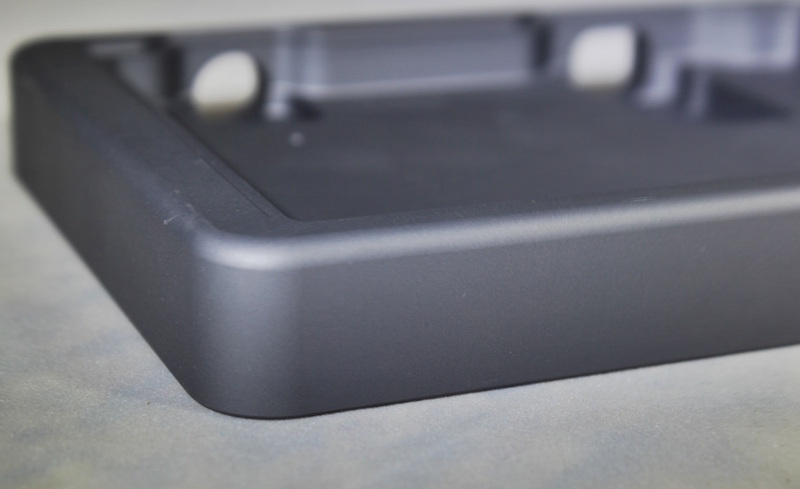 The brass mid-layer will add over 2 lbs of weight to the case, bringing it up over 7 lbs. 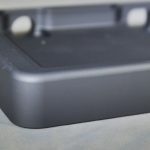 The bottom is available in either flat, or a 3˚ angle. 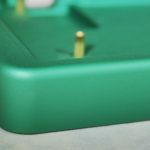 There are not many options available due to the use of hotswap sockets. 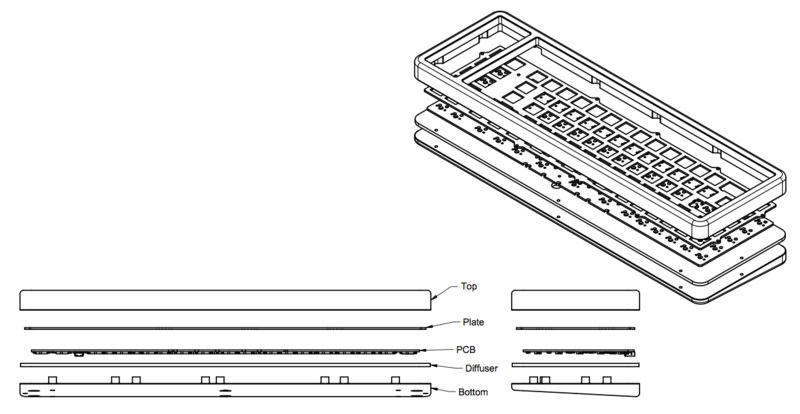 Layout choices are limited to a split spacebar option, and and split backspace option.